The top tourist attractions in Portugal are unique to the country even though it shares the Iberian Peninsula with Spain. It owes its unique identity to its geographical and cultural separation from its Spanish speaking neighbor. While Portugal might not be the richest country in Western Europe, it has is a rich land with lively cities and plenty of attractions to see an enjoy. This Christ the King statue is the country’s most iconic landmark. The Portuguese had it built to give thanks because their country was spared from harm in the second World War. Cristo Rei resembles the world-renowned Christ the Redeemer Statue in Brazil. 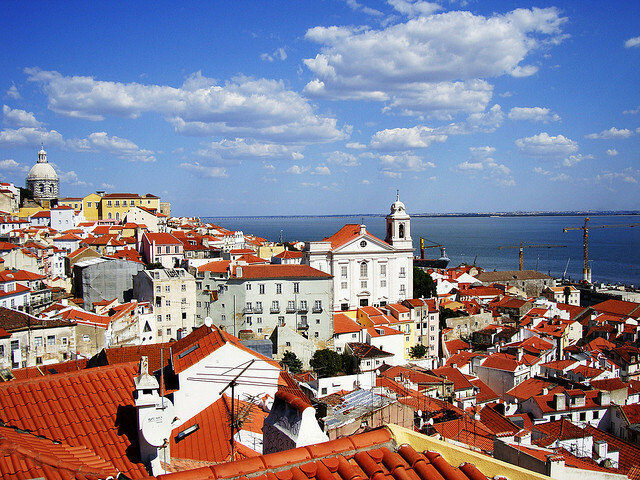 Situated in Lisbon, Portugal’s capital and largest city. It hasn’t moved an inch since its completion in 1969. The museum of Ancient Art has the most expansive collection of Portuguese art from before the 19th century. Like Cristo Rei, you can find it in Lisbon. Included in its displays are a variety of artworks including sculptures, drawings, and paintings. The oldest collections in the National Museum of Ancient Art are from the Middle Ages. Works of famous artists such as Cristovao de Figueiredo, Francisco de Holanda, and Garcia Fernandes are part of the impressive exhibits. The Algarve is a region located in the most southern part of the country and is home to some of the most amazing beaches Portugal has to offer. The Algarve is one of the top tourist attractions in Portugal with more than 10 million tourists coming to visit every year, with a high percentage of British notably escaping the winters back at home. There are many beautiful coastal towns to choose the perfect accommodation and you can stay in everything from hostels to 5-star hotels. For a unique experience, check out Villa Plus, they’ve got a large list of amazing villas to enjoy with your better half or the entire family. Home to pleasant countryside, there is no better place to see natural beauty than in Monsanto Forest Park. It has more greenery than anywhere else in Portugal. The area contained by the park used to suffer from reduced wildlife until the government deemed it a protected area. Today, it has an ecological park, a thriving flora, and a recovering population of animals. The Berardo Collection Museum opened its doors to the public in 2007 in Lisbon. Unlike the National Museum of Ancient Art, it displays modern artwork. There are more than a thousand individual pieces currently on display. And with more than 2.6 million tourists visiting every year, Berardo Collection is one of the world’s most visited museums. Works by famous artists like Pablo Picaso, Jackson Pollack, Salvador Dali, and Andy Warhol are part of its exhibits. Berardo Collection Museum is definitely one of the top tourist attractions in Portugal not to miss if you’re an art lover. All amazing recommendations… just 5 out of hundreds you can find in Portugal. Portugal has indeed been a hidden gem but it’s starting to get noticed by virtue of multiple awards that start to ad up in the last couple years. All these awards are a testament to the quality of the attractions in Portugal.